View More In Pans & Drain Plugs. Aeroquip Quick-Drain Oil Pan Coupling eliminates the potential of spillage by draining directly into oil container. It facilitates fluid drain in a clean efficient way and changes oil when hot. 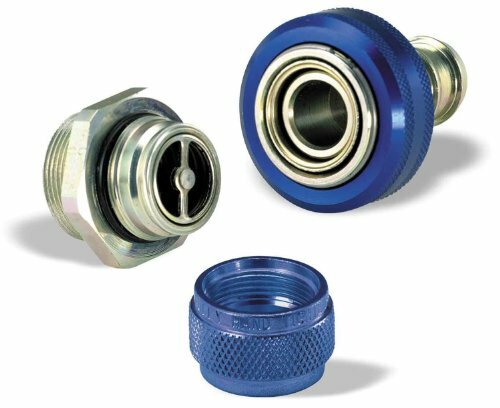 This coupling features a race quality with double seal construction and requires no drain plug to remove.